We received complimentary Oliver’s Labels in exchange for an honest review. All opinions are our own. Back to school season is here! My son goes back the day after Labor Day, so I’m in the last-minute scramble to get him ready. I just didn’t realize it was coming up so fast! One minute we were enjoying the start of summer, and the next I’m looking at the calendar thinking “oh no!” I managed to get all his supplies together this week. 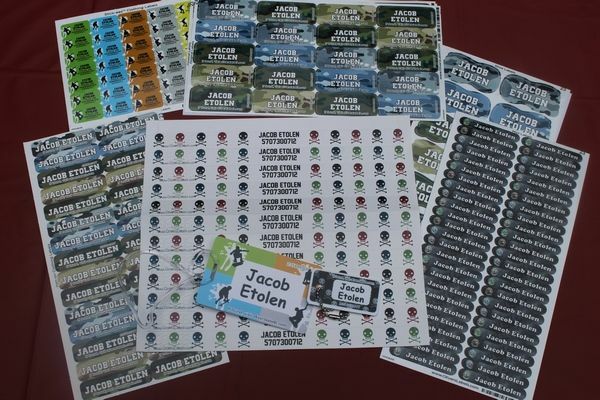 Now it’s time to label everything, so he doesn’t lose them on the first day as he heads back to school! My favorite item is the Large Bag Tag for back to school. It’s big, bold and made of sturdy materials so that it won’t be ripping anytime soon! 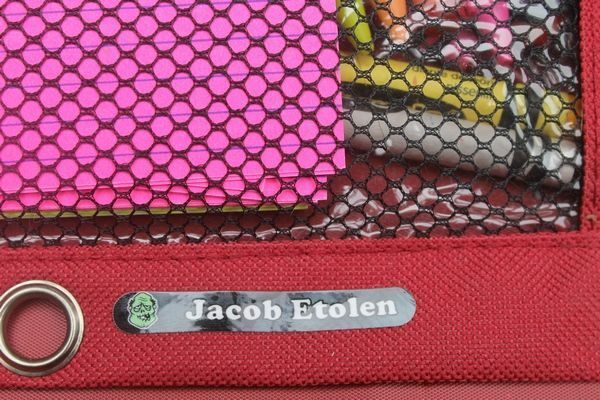 It’s the perfect way to make your child’s backpack stand out from all the others that are similar! I added the Found-it™ code so it can easily be returned. This is a super cool feature of Oliver’s Labels! Choose the option when you’re customizing, and your labels (depending on the size, the minis don’t have this feature) will have a code printed on them. 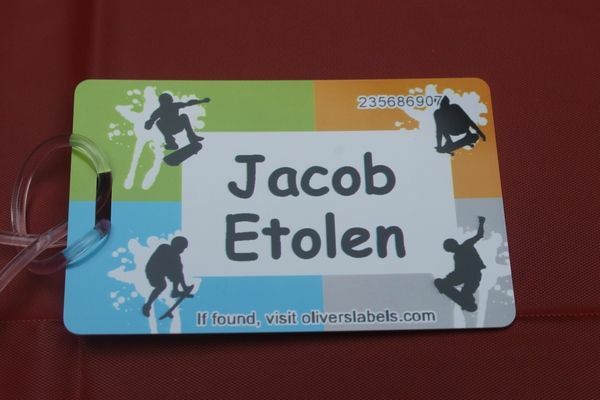 If the item is lost, the person who finds it can go to Oliver’s Labels website and get it back to you. You’ll get an email with details on how to retrieve your lost item! 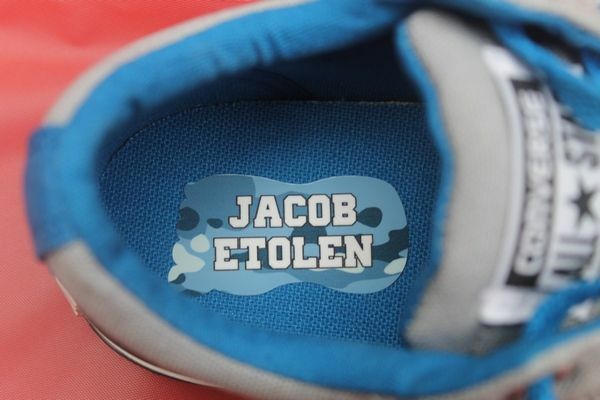 Another favorite of mine are the Shoe Labels. With kids following trends and often buying the same shoes, the last thing you want is some other child’s stinky gym shoes coming home in your child’s bookbag! The labels go inside the shoe, so they don’t mess with the overall design. They’re made of thin yet sturdy material, so you don’ t have to worry about them poking at your child’s foot. The Mini Labels are perfect for labeling back to school supplies. Stick them on pencil cases, notebooks, rulers, even on your child’s favorite pencil! Hey, it may sound silly, but Jacob went through so many pencils because they change classes for reading and math. Other students were always going through his desk and taking his pencils! Oliver’s Labels School Package is just what we needed to finish up our back to school preparations. I love that they have so many cool designs to choose from. Even better, you can mix and match designs for each label! Notice how we have Zombies on our Mini Labels but a Camo look for the shoe labels? When you order and personalize, you’ll be given the option to choose which design you like best for every label. They even have a bunch of Special Edition designs, like Spongebob and Dora! Have you ever used Oliver’s Labels before? Which labels would you want for back to school? Tell us about your experience in the comments!